C. viticella Etoile Violette has rich purple flowers on the current seasons growth and is perfect to add a splash of jewel colour in the garden. As a pruning group 3 Clematis, all the maintenance required is a prune to 30cm in February and occasional tying into the support you have chosen. 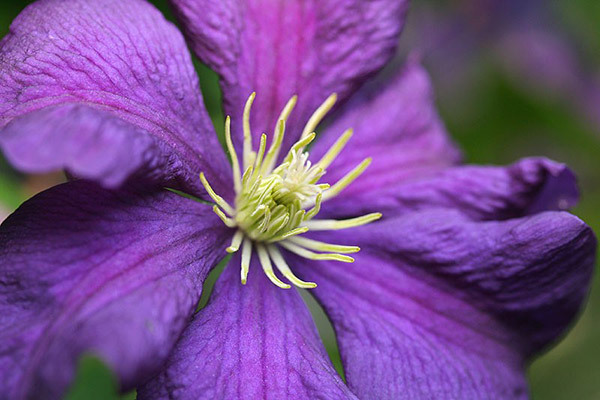 Plant Clematis a few centimeters deeper than the surrounding soil to encourage lots of stems from under the soil level as these will give you lots more flowers. Clematis also enjoys cool roots so mulch with bark or plant the roots in the shade.